Des Moines City Hall – Plumb Tech Mechanical, Inc. Built in 1909–1910, the Des Moines City Hall is listed on the National Register of Historic Places as of 1977. The building serves as the seat of government for the city of Des Moines. City Hall offices were relocated during renovation in 2016. Renovation was necessary to install modern heating, cooling and sprinkler systems while preserving the historic character of the building. 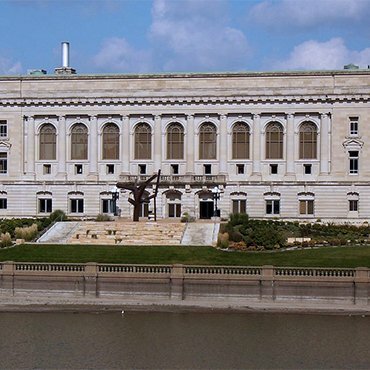 The Des Moines City Hall is a three-story Beaux Arts style building, 77 feet wide and 231 feet long. It is a brick structure build on a concrete foundation, with granite and Bedford stone exterior cladding, to match the Public Library and post office. Plumb Tech Mechanical was part of the renovation team, brought on board to bring all the plumbing, HVAC, controls, boilers and chillers up to current code to meet the increased demands placed on them.